Unwanted guests are never fun, especially when you can’t ask them to leave. Luckily, Lakeside pest control companies have no problem kicking them out. Whether there’s a rodent in your basement or insects in the attic, call your local Lakeside exterminator to take care of them — do not try to wrangle them out yourself! Not sure which type of home pest control service in Lakeside, CO can tackle your issue? Read profiles and ask about their past experiences to get a good idea. 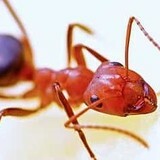 Pest control services for insects, spiders, rodents, birds, termites, and other wildlife removal. EDGE is proud to service Denver, Kansas City, Portland, SLC, Seattle, Chicago, Boise and the surrounding areas. We offer general pest control, lawn care, rodent, mosquito, and bed bug control. We provide free re-services in between our regularly scheduled appointments if the need ever arises. We also treat all the way up into the eaves of the home to remove flying insects like wasps. Pets and people aren't pests, so we won't be treating for them. At EDGE, we insist on using the best products available, allowing you to be in your home during the service. We are a locally owned and operated company providing you the leading edge in pest control services & products for both residential and commercial customers. With our combined experience in the pest control industry, we offer our customers 13 years of knowledge, training, expertise and good honest hard work that benefits our customers, servicing needs in every way. We will always do whatever it takes to maintain our reputation by using the most efficient, effective products. We believe firmly in providing the best possible pest solutions to our customers at a reasonable price and at a high level of customer service. Call us today to set-up an appointment, we look forward to hearing from you! Professional vacuuming or steam cleaning gets some of the bed bugs, but none of them that are hiding in impossible to reach areas such as the cracks of furniture. 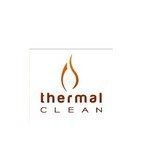 Another method, thermal remediation (heating rooms up to temperatures that are deadly to bed bugs) is an effective method that, alone, works about 80% of the time. Pesticide-only solutions require multiple treatments every 2 weeks and generally require two, three, or more treatments; even then they only work about 50% of the time. K2 Kritter Solutions provides professional animal removal and animal control services (critter control) to our neighbors in the Colorado Springs Metro area. We also serve Monument, Pueblo and the Woodland Park areas; if you don't see your area listed, please call us and we should be able to service your community. Our focus is on humane animal control solutions for residential, business and governmental agencies. We take the stress of dealing with a nuisance animal off your hands. Through our animal control services and wild animal prevention techniques, we remove your animal problems and put preventive measures in place to keep them from recurring. If you have a wild animal problem, call us today! We Specialize in Bed Bug Remediation. Don't hire a general pest control company for your bed bug infestation... Bed bugs are ALL we do! The safest, fastest, and most effective Denver bed bug exterminators. Your home is your refuge. When something threatens the comfort and well-being of your family, you want it taken care of fast. Bed bug infestations are on the rise across the country, and it can happen to anyone. It has nothing to do with the cleanliness of a house; it’s just bad luck that follows you home. Thermal Clean offers the safest, cleanest, and most effective bed bug removal methods for ridding your home of these pests. Bed bugs treatment is our main business, and we have taken the EPA’s recommendation for a multi-faceted approach that is exponentially more effective than a traditional pesticide treatment. 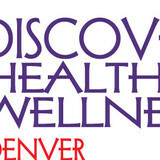 We service the entire Colorado front range including Denver, Colorado Springs and Fort Collins. Schultz began beekeeping in 1977 as a hobby with one beehive on the back porch. Our philosophy was to buy a beehive and have free honey the rest of our life. We bagan to sell other beekeepers honey to our friends and associates. We discovered how beneficial raw unfiltered honey was for people who suffered from allergies to pollen. We also sold 5 gallon buckets of honey to health food stores. Then we began to make hand dipped beeswax candles and sold them at craft shows. In 1984 we strted giving bee lectures in schools. Schultz also began to pick up swarms to increase our honey production. That lead into the removal of bees from buildings and homes. The first job took one month to complete. Now, the same job takes about one to two days to complete. We developed a lot of specialized techniques and equipment to remove bees. We also began to remove hornet nests when they were visible and on the outside of the structure. We are not exterminators, we are bee removers. We generally recommend a reputable exterminator if the hornets are hidden. To provide effective pest control, rodent extermination company for residential and commercial properties. We make sure you never have to worry about pests ever again. f you decide to use our service we guarantee to keep your location pest free for a full 90 days, or we will match your full investment and we will re-do the whole treatment at our own expense, absolutely FREE! Buy Armotraz 1mg are used to treat breast cancer in postmenopausal women, as first line therapy for early, advanced or metastatic breast cancer. Armotraz tablets 1mg are also used as additional treatment for early breast cancer in conjunction with other breast cancer treatment (tamoxifen) or if tamoxifen therapy has not helped prevent progression of the tumour. We help homeowners and business owners and apartment dwellers by providing quality pest control service that is affordable, effective and quick. Our professionals are committed to excellent friendly service. We Have the solution to your problem beginning with thorough inspections and identification. An infestation of insects or rodents can not only be annoying but can also be a health hazard and seriously destructive to your property. What can be worse than having an infestation of bugs or rodents invade your home or business? With Denver Pro Pest Control your terrifying situation can easily be removed. We can exterminate any common pests found in the Denver area like: cockroaches, wasps, ants, bedbugs, mice, spiders, bats, fleas, centipedes, moths, snakes, even termites and many other pests that can potentially cause a threat to your family and home or business. We use the most effective environmentally conscious controls and solutions and products available. So what's bugging you? Call us today for a free inspection and evaluation and we will provide immediate attention to your pest problem. We are your one-stop shop for residential and commercial bug and pest control in Denver! At Armor Pest Defense, our mission is to provide communities and businesses with the highest quality and safest pest control and customer services, which are consistently perceived as precise, clean and safe for families, pets, and the environment. Splat pest management was started with the sole purpose of informing the public and providing them with the pest control that they deserve. Splat is a local pest control company serving Denver and surrounding areas. Hours of operation are Monday-Friday between 9am and 5pm but some other times may be available depending on circumstance, just ask us! Owner Daniel Pugliese has been dedicated to providing the best service at fair prices since he entered the industry in 2003. We promise to our customers to keep that mentality alive and to keep current on modern pest control technology and research to provide the best service available. Call us today! TruForce Pest Control targets your problems instantly, giving you and your family needed peace of mind. Even the most obstinate pest control problems are solved with TruForce Green Team expertise. 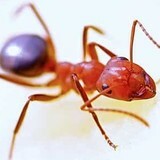 We treat for 47 different pests! We share our wealth of knowledge with you in every pest control treatment. We give you the tools to ensure a pest-free environment. With 10-plus years in the pest control business, we are getting accolades from customers and industry representatives alike. 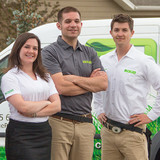 With the TruForce Pest Control Green Team experts trained on your home, you can avoid threats to your family’s health and well being, damage to your home, and the annoyance of nesting pests. Nothing gives people the creeps like the presence of unwanted pests. If your space has been invaded by uninvited visitors, you need a reliable pest exterminator to nip the problem in the bud before it gets worse. That's where Humane Bee Removal comes in. As a leading pest control company in Denver, CO, we work to rid customers of insects, rodents, and the like.